We were fortunate enough to have worked with Deal Grocer for this trip. I was looking for a place for us to escape to for our anniversary weekend. 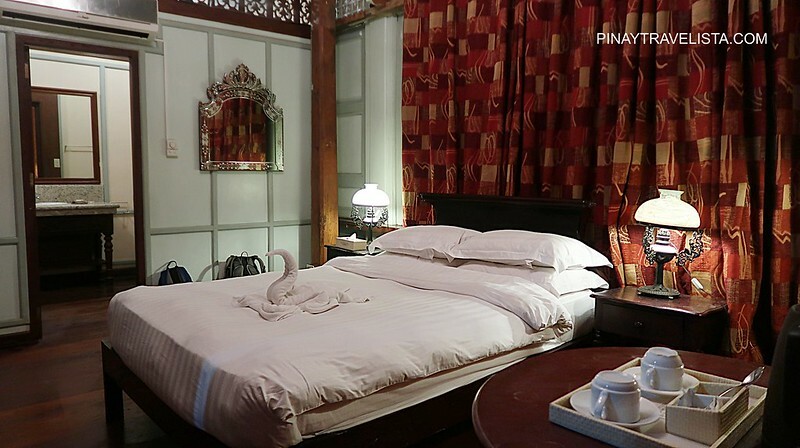 I saw an overnight stay at Las Casas Filipinas de Acuzar promo for Superior Deluxe Room for two that included breakfast and a guided walking tour for 6,000 PHP. 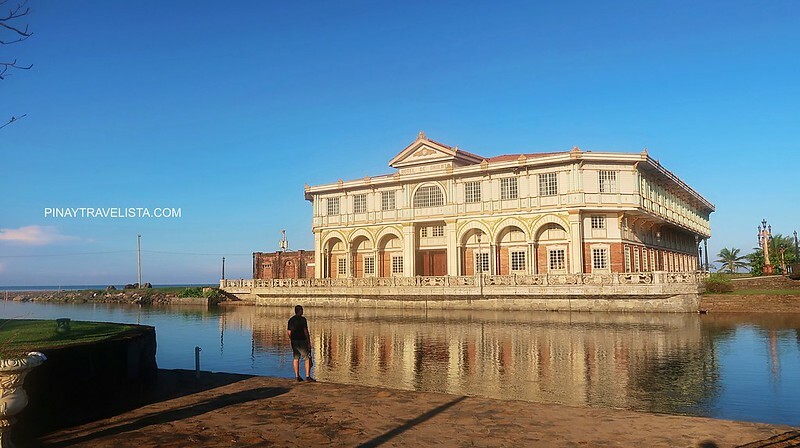 It was already sundown when we got to get to Las Casas Filipinas De Acuzar. There was just enough light to take photos of the place while walking to our casa. 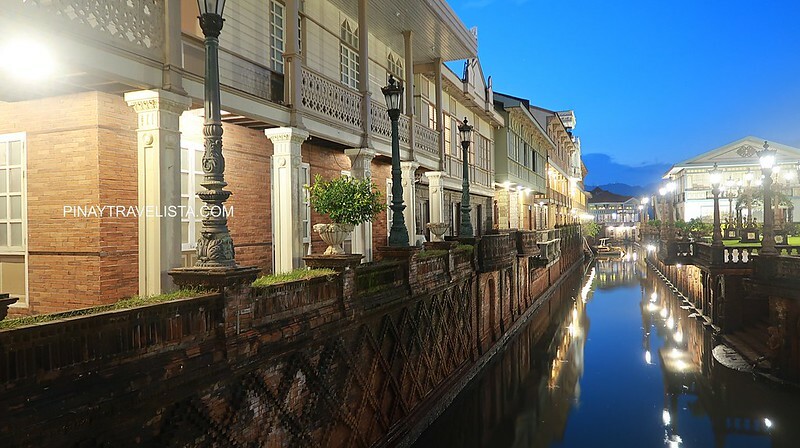 The warm lights from the street lamps and the buildings made it a romantic and leisurely walk – despite our heavy backpacks on. We were offered to be taken to our casa after checking-in at the reception but Josiah suggested we walk instead. I thought that we will be pretty tired by the time we get to our casa to get settled in our room but we weren’t still. 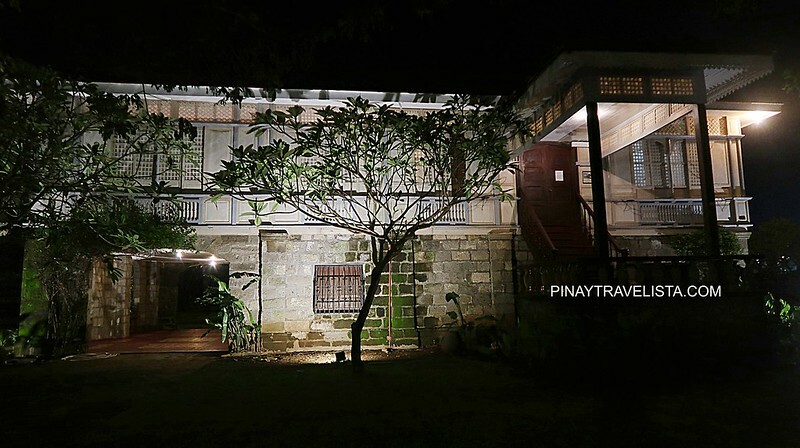 We stayed at Casa Mecauayan with 5 rooms in it – two at the ground floor and three at the second floor where our room was. We knew that we were sharing the casa with other guests with the lights already lit up. 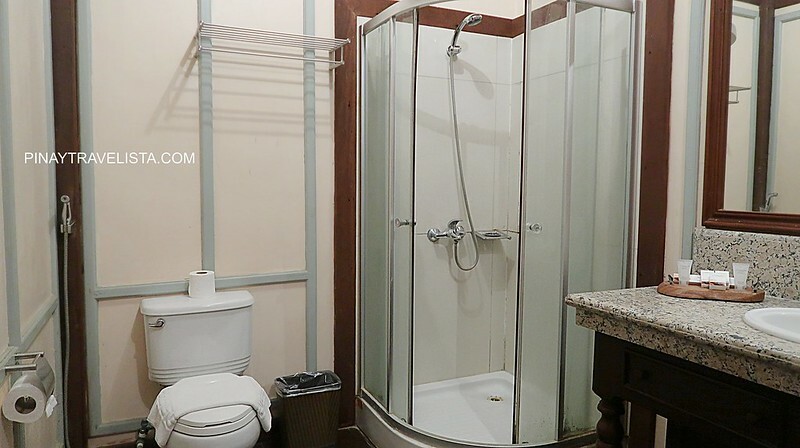 You will find receiving and common areas right outside the rooms. The guests can chill there or use it as they wish. The only set of keys that were given was for the room, so better that to know that you’re sharing the casa with other guests before locking the front door of the casa. Since no one manned each casa, to communicate with the staff or the front desk, there is a phone at the common area to call in for questions or services you might need. Our Superior Deluxe room for two was surprisingly spacious. And like I imagined it was of wood and and vintage in design. 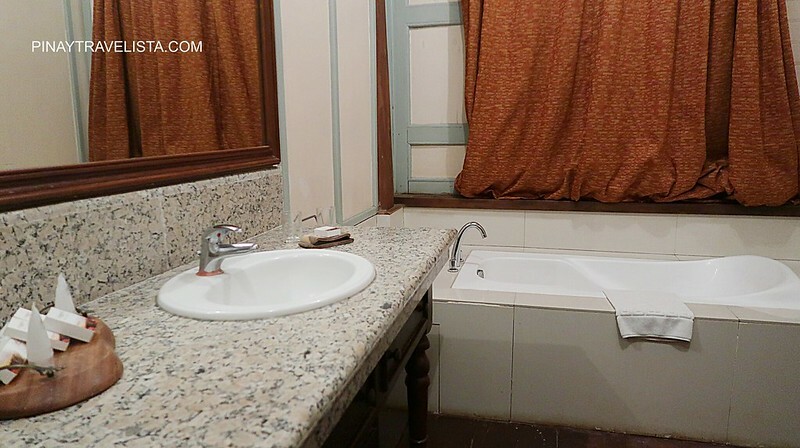 It has dark rust-coloured curtains that covered the windows and took up two walls of our room since it was a corner room. It looked gloomy to be honest with the dark wood floor. I assumed that was how the rooms were designed in the old times – and best of all, it kept the coolness from the airconditioning in. 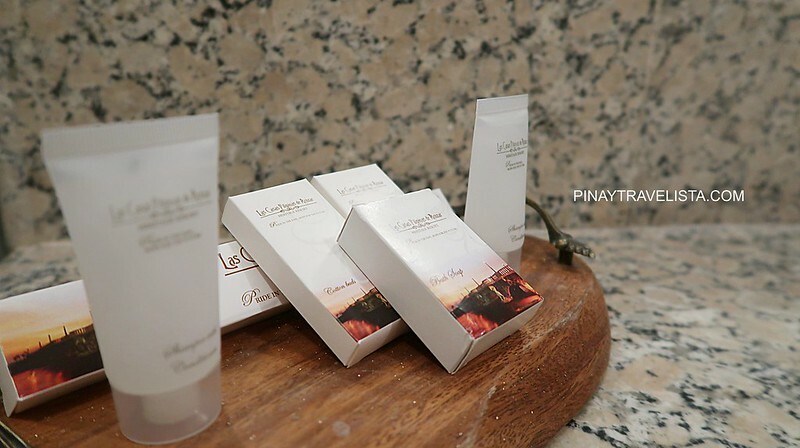 The furnitures, and room fixtures where old or vintage in designed to keep up with the them of the heritage resort. 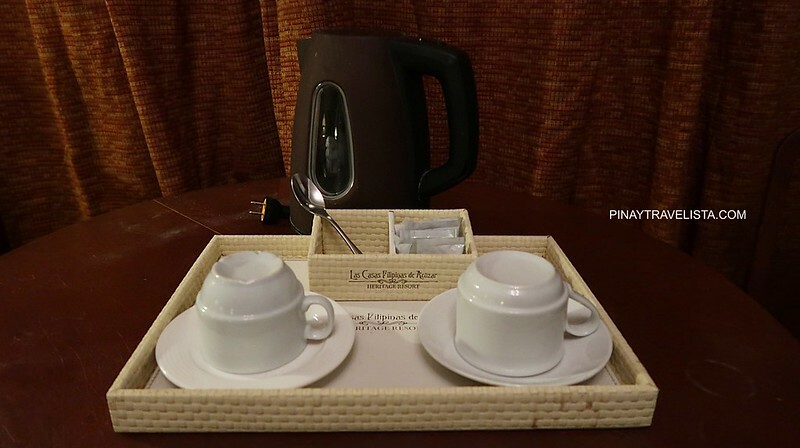 The room came with complimentary coffee, drinking water, slippers, and toiletries for guests. 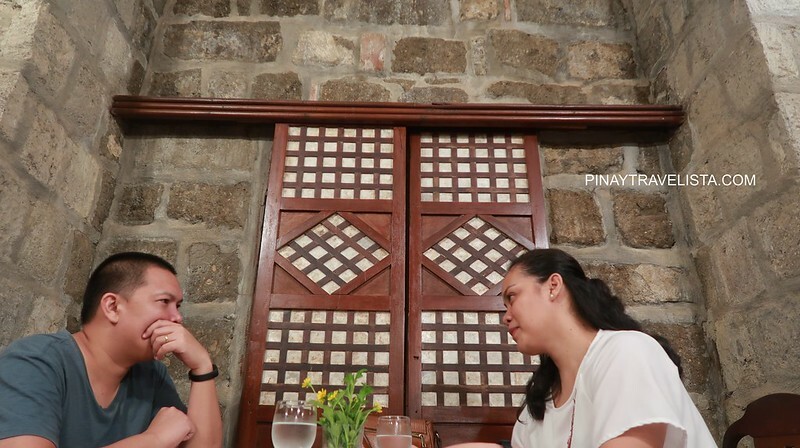 There were only two opened restaurants during our overnight stay at Las Casas Filipinas De Acuzar since there were only . We had a choice between Italian and Filipino cuisine. 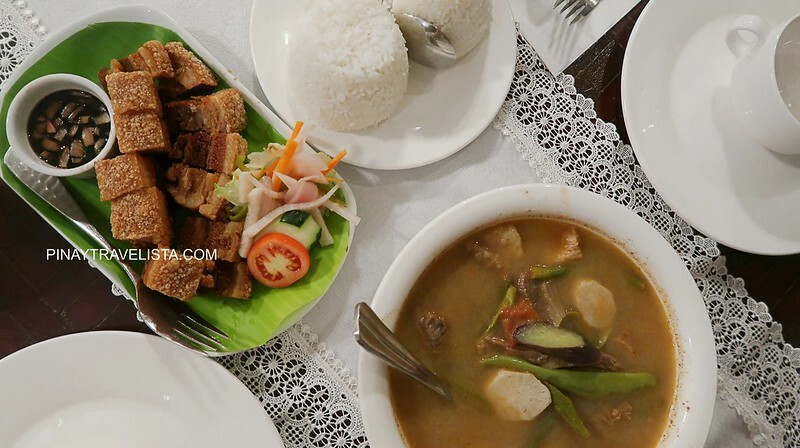 In honour of the heritage resort we went for Filipino cuisine at Cusina ni Nanay Maria. The restaurant is a few steps from our casa and was not yet packed when we got there. Everything in the menu looked good that we wanted to order every things. 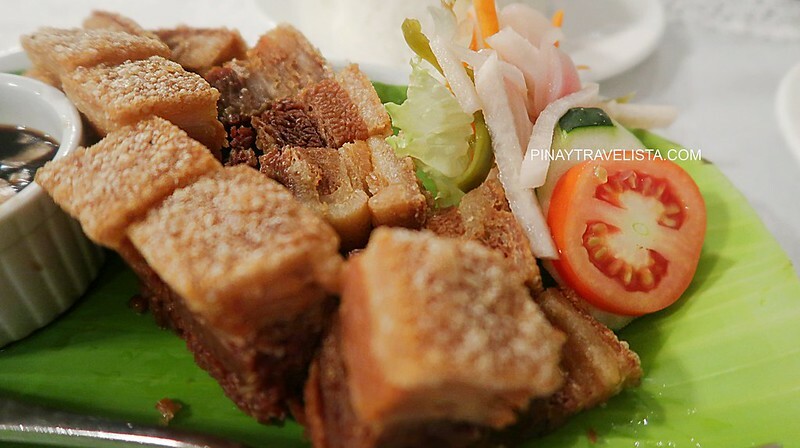 We decided on Sinigang and Lechon Kawali – two very popular Filipino dishes. The serving size was generous but the food was just okay and not entirely remarkable to be honest. Our total bill was around +1,300 PHP for 2 viands, and 2 cups of rice, including tip. We paid in cash since we carried enough to cover the meal and for the rest of our weekend trip but they do accept card payment via debit/credit card. Our booked room came with breakfast at the Hotel Oriente the next day. Breakfast starts at 7:00 AM. It gave us time to take a walk around and take photos before we headed to the breakfast hall. 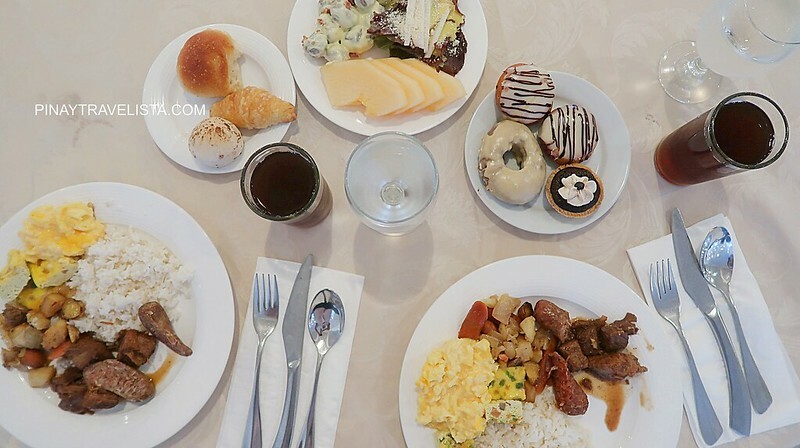 Breakfast was in buffet style with generous selection of food. We took our breakfast early because we had an already planned itinerary for the rest of the day. We decided to go for the 8:30 AM walking heritage tour to get an early head start of the days’ activities. Luck was with us that it was a small and manageable crowd. Guests were either still getting ready or having breakfast that early. It made it easier to take photos without too many people around. To avoid large crowds during the walking heritage tour, I highly recommend the first tour of the day. 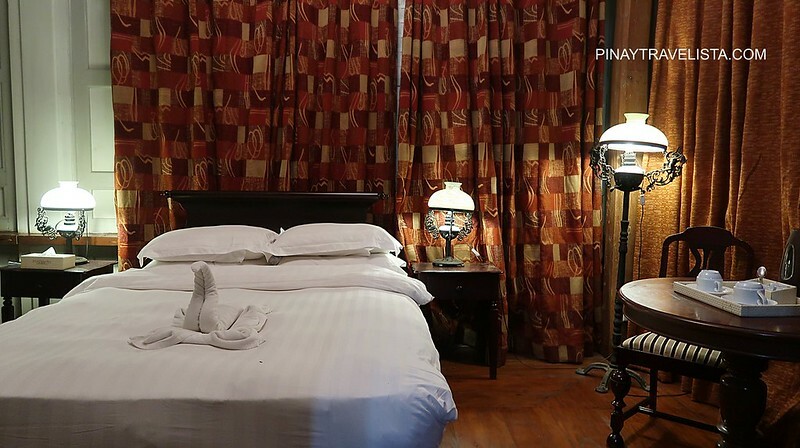 There is a fine of PhP 1,500.00 for smoking inside the rooms and houses. Strictly only swimwear attire in the swimming pool (for in house guest only). 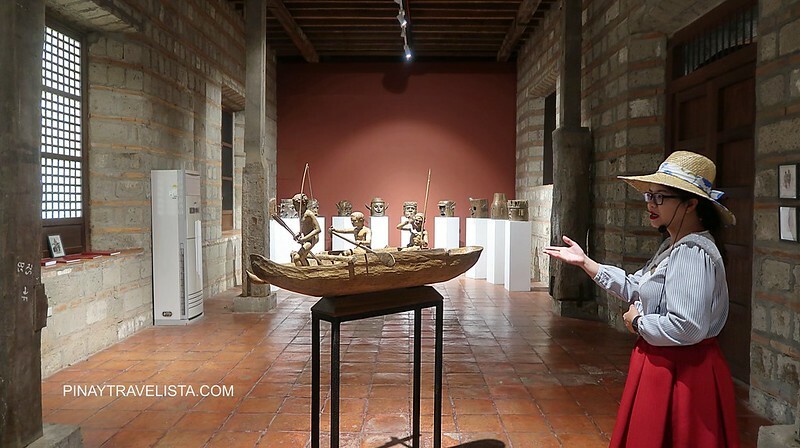 Guided Heritage tour is a 30 minute to 1 hour walking tour. Wear easy to remove shoes. Some houses require to remove shoes upon entry. Guests for check-in can bring vehicles inside for luggage drop off only. The maximum time to drop off luggage’s is 15 minutes only.